Customizable Twitter client with a strong, efficient workflow. Is there a better alternative to Syrinx? Is Syrinx really the best app in Chat category? Will Syrinx work good on macOS 10.13.4? 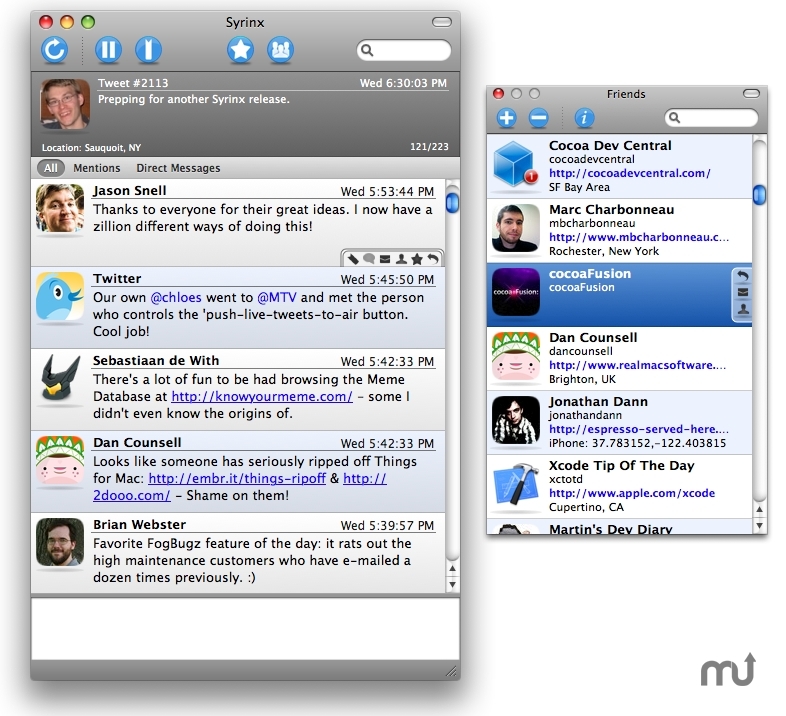 Syrinx is a free, customizable Twitter client with a strong, efficient workflow. Experience your tweets in color by customizing the background colors or using the built in themes. Keep track of unread tweets using the intuitive new bookmarking system. Search your tweets to find what you missed. Syrinx includes built in Growl support as well as a way to manage your following list. Syrinx 2.0 introduces the ability to search all of twitter, as well as retweeting, tweet deletion, URL shortening and much more.